At MBARI, engineers and scientists are developing new tools to study and monitor ocean change. Innovative technology is improving the way we access, sample, measure and visualize the rapid changes taking place across the ocean—from the surface down to the bottom of the sea. It is also improving the way we manage ocean resources. I want to share three exciting examples of cutting-edge ocean research happening at MBARI right now. This research is helping us better understand how climate change is already impacting our living ocean, and how we can better protect it in the future. Tiny blue-green algae called cyanobacteria produce a harmful toxin called microcystin. The bacteria multiply in warm, nutrient-rich water, and this is bad for both people and marine creatures. Unfortunately, these algae blooms are becoming increasingly common in the ocean and in freshwater, including the Great Lakes—an important source of drinking water for millions of people. Scientists suspect warmer water caused by climate change may be one of the reasons these harmful algal blooms are getting worse. For the past eight years, MBARI’s scientists and engineers have been building long-range autonomous underwater vehicles and using them to study microscopic algae and ocean chemistry off the California coast. In 2018, they incorporated a robotic biochemistry lab into the vehicle. This automated laboratory is called a third-generation environmental sample processor. In July, one of these vehicles collected harmful algae and monitored the amount of microcystin in the waters of Monterey Bay. 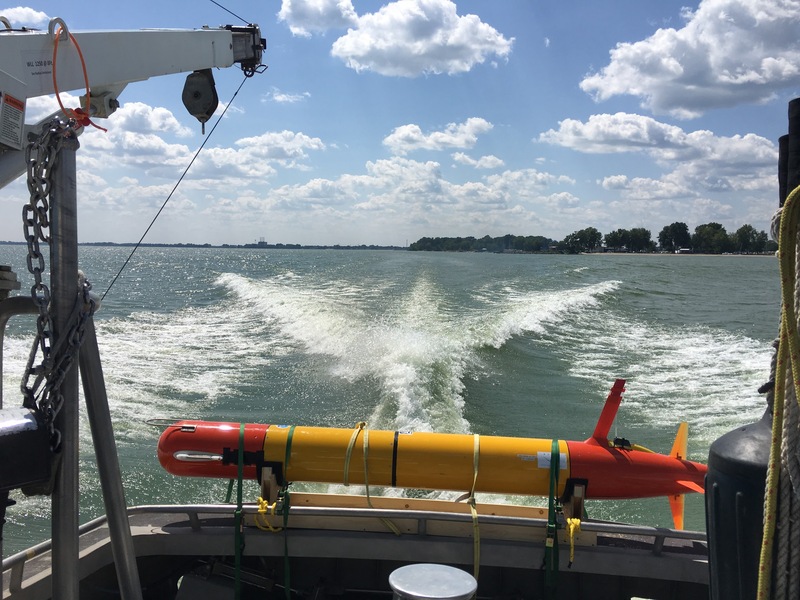 Now, this same vehicle is being used to monitor microcystin in the waters of Lake Erie. Researchers hope that data from these missions will eventually help with forecasts of toxic algal blooms. Upwelling along the California coast—which draws deep, nutrient-rich waters close to shore and fuels life higher up on the food web—is expected to strengthen in the future as a result of climate change. The mechanisms are complex, but scientists believe upwelling will increase as a result of a strengthening of alongshore winds. The winds are expected to strengthen due to bigger differences in land and ocean heating as a result of climate change. 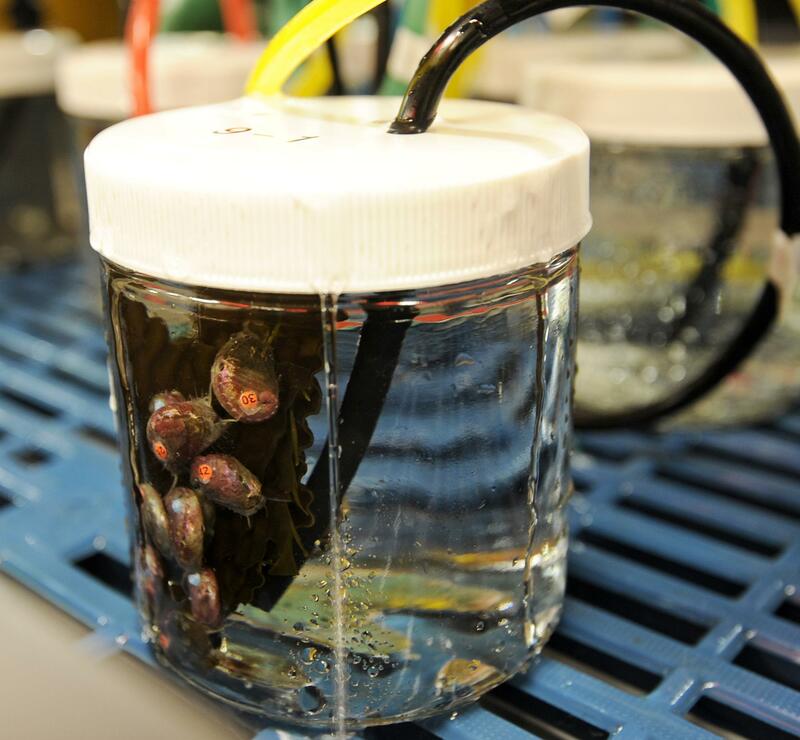 MBARI scientists are looking to understand how marine life along the coast, like abalone, may respond to upwelling changes. Specifically, ocean acidification and declining oxygen levels are anticipated to stress coastal animals like abalone that depend on upwelled waters for life-sustaining nutrition. In order to better understand what might happen in the future, the MBARI team built a laboratory system that allows us to simulate different upwelling scenarios by altering temperature, acidity and oxygen. Our scientists can observe how the variations happening today affect abalone, and then compare that with the ocean of the future—which is expected to be warmer, lower in oxygen, and more acidic. MBARI’s new upwelling simulation is an important tool to help researchers and resource managers understand how human-caused climate change is affecting coastal species and ecosystems. The Southern Ocean, the body of water encircling Antarctica, may reveal a lot about what the ocean of the future will look like as the climate changes. Despite its critical role in our climate system—the Southern Ocean absorbs much of the excess heat and carbon dioxide associated with greenhouse gas emissions—scientists haven’t been able to give the Southern Ocean the attention it deserves. That’s in part because it is so far away, and in part because its seas are so rough. 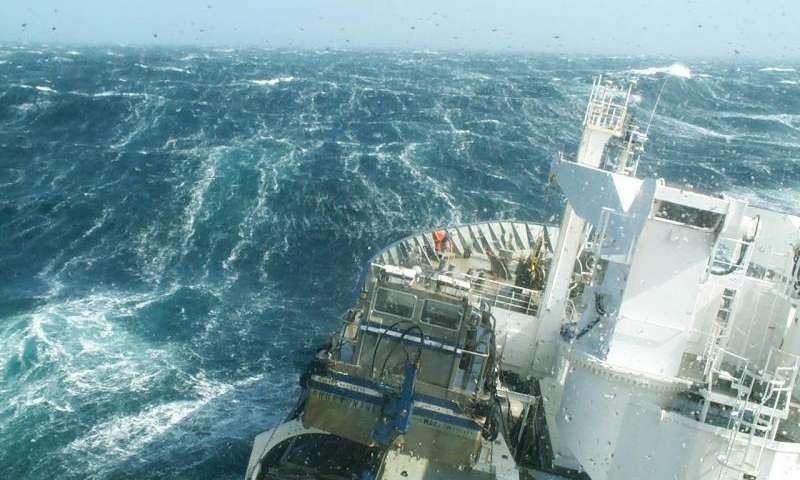 For example, last May, a 78-foot wave—the largest ever recorded in the Southern Hemisphere—was observed in the Southern Ocean. It is a really challenging place for scientists to work. That’s why robotic floats are the key to helping scientists access, sample, monitor, understand and ultimately predict how the Southern Ocean and our climate will change in the future. 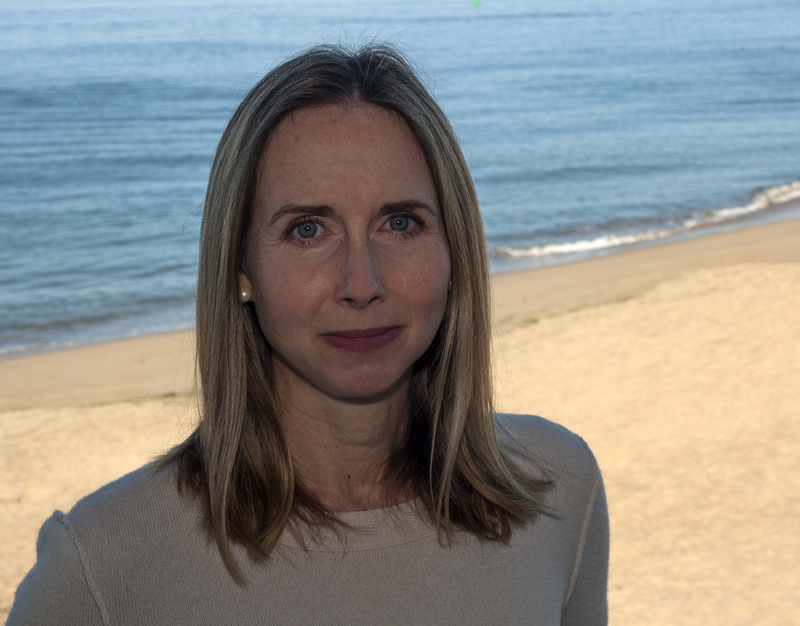 MBARI scientists, along with scientists at Princeton University, Scripps Institution of Oceanography, University of Washington and University of Arizona are part of a $21 million National Science Foundation-funded initiative called Southern Ocean Carbon and Climate Observations and Modeling, or SOCCOM. A SOCCOM float, carrying instruments developed at MBARI, is released into the Southern Ocean, where it will monitor the sea’s changing chemistry. Photo courtesy Greta Shum/Climate Central. The initiative was launched in 2014 with the goal of deploying a fleet of 200 autonomous floats, capable of observing the Southern Ocean year-round for the first time. Over the past four years, data from these floats indicate the Southern Ocean may take up much less carbon dioxide from the atmosphere than previously expected. These game-changing findings were published last month in a paper in Geophysical Research Letters. If these findings are confirmed, scientists will need to reassess the role of the Southern Ocean in Earth’s climate. This work is proof that there are still many things we need to learn about our ocean. and its complex relationship with Earth’s atmosphere and changing climate. As world leaders meet this week at the Global Climate Action Summit to discuss solutions to climate change, I’m glad that the ocean will be part of the conversation. The work being done by engineers and scientists at MBARI demonstrates that the ocean plays a critical role in our climate system. We are working very hard to better understand that role, and to ensure that climate solutions are based on the best available science. Learn more about how the work of MBARI scientists and engineers is addressing global climate change.